While I look forward to the chance to review films and research women in the genre, I realize that reading a dude’s take on women in horror all month kind of defeats the purpose. So I’m very happy to present interviews with some very cool women in the horror community. First up is Ashlee Blackwell of Graveyard Shift Sisters, a website “that works to highlight and celebrate the experiences, representations, achievements, and creative works of Black women and women of color in the horror (and science fiction) genres.” It’s got a lot of great content from history lessons on black women in horror to interviews with women of color who prove that the horror community extends much farther than we tend to acknowledge. Can you talk a little bit about the genesis of Graveyard Shift Sisters? 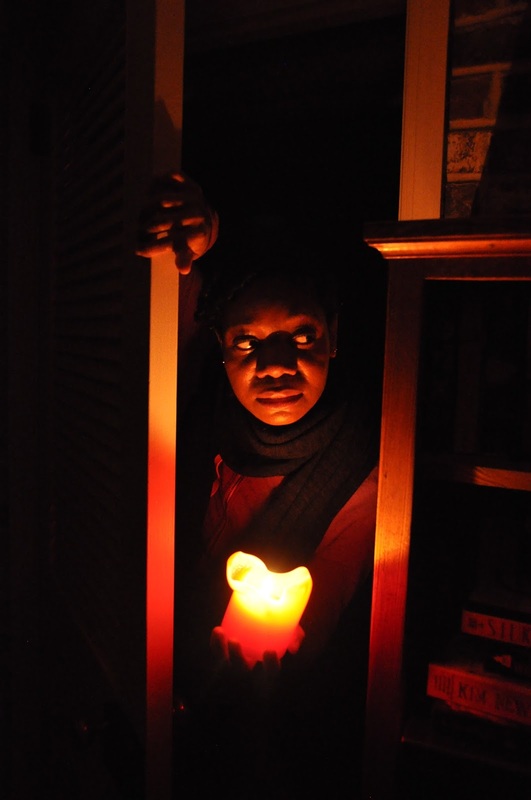 Graveyard Shift Sisters was born out of the frustrating results of a mental survey I organically started keeping tabs on: the practically non-existent presence of Black women creators in the horror industry on the numerous sites catering to the genre. I spent my entire life feeling like the only Black woman who had a deep interest in horror, and that only doubled my frustration because I didn’t want to believe such an irrational musing. So the blog was born in order to mend both of these issues I was grappling with. While the projects I think everyone begin are always rooted in some sort of personal fulfillment, myself included, it was important to keep the focus on it being primarily about all of the other women of color who love this as much as I do. Your website’s tagline is “Purging Black women from the margins,” and your site is geared toward heightening visibility for Black women in the horror genre. With increasing attention being paid to the lack of black representation across all genres, do you believe horror is better or worse in this respect? It’s no better or worse. But as a genre heralded as being so subversive and revolutionary, it has yet to live up to this notion in the realm of inclusiveness and the amount of exposure as well as support (men and women) creators of color receive. You often highlight content that people produce themselves and distribute online. What effect do you think the increasing wave of self-produced content has on the genre as a whole? It’s a community effort. It affects the way in which others understand that there is content out there that really does speak to their interests, and then the word spreads because when you’re excited about something, you want to share it with others. It’s all about content creators talking to other creative and informative outlets who sound the horn equally and it gets to various audience and so forth. Is there any particular content that you’re particularly excited about? Regine Sawyer has one of the most unique vampire narratives ever written in a comic book series titled, Eating Vampires, Calyn Pickens Rich has an awesome comic strip, Dill Comics with a full figured Black female character who loves her goth and horror movies. Monika Estrella Bella has just launched her Audre’s Revenge Film Collective that aims to focus their narratives on issues, concerns, etc. facing Black women, women of color and LGBTQI folks in horror and science fiction. I can’t wait to see R. Shanea Williams’ new horror short, Paralysis. And 7 Magpies, an all-Black woman written and directed horror anthology is still in the works. This is a pretty exciting time to witness all the interesting ways in which women of color are lending their contributions to the genre stratosphere. In addition to your website, you also co-host a podcast called Girls Will Be Ghouls (with fellow blogger and filmmaker Zena Dixon). How does your approach to your work change between written and spoken media? I’ve never been a great verbal communicator. However, when I’m discussing something I’m passionate about, I tend to morph into someone I don’t even recognize sometimes. It is still very much a challenge. When I’m talking, I can’t edit myself quite like I can with writing. And I tend to be brutally frank to a fault. I guess sometimes that’s good, but I’m hyper-aware of how that’s not always the fairest approach. But I will never shake my insistence upon honesty. It’s been a great exercise because films to me are an intimate experience, and when I’m moved to write about one, it’s something super special to me. Talking about them doesn’t feel quite the same, even if I love (or hate) a film. However, I have a personal goal of teaching college courses on the subject so I’m happy to leave my comfort zone and really tighten this skill. To keep up with Ms. Blackwell, visit Graveyard Shift Sisters, follow her on Twitter and Tumblr, and check out her podcast Girls Will Be Ghouls.